For 200 years, farmers in St. James Parish have raised perique tobacco. Only a few farmers remain, and they farm solely by hand. One farmer has found a new market for his unique crop. Percy Martin farms 235 acres in St. James Parish. With the help of his five sons, the 84-year-old raises tomatoes, bell peppers and sugar cane. He’s planted 12 acres of his farm with perique tobacco, and those 12 acres contain the bulk of the world’s supply. Perique grows only in St. James Parish, along the Grande Pointe ridge, just outside the town of Paulina, in the rich alluvial soil of the Mississippi River. Tobacco experts generally point to three qualities that make perique distinct: the St. James soil, the perique seed and the fermentation process. Martin says some scientists believe St. James Parish sits on top of a mineral deposit that gives the tobacco its robust and pungent flavor, but he doesn’t know if that’s true. All he knows is that he needs the perique seeds, the St. James soil and hickory whiskey barrels to make perique. Perique’s distinctive, powerful flavor makes it nearly impossible to smoke by itself. A small amount of perique is usually blended with other tobaccos to add another dimension of flavor to the dominant tobacco. And although the fermentation process makes for a stronger-tasting smoke, perique has been proven to produce less nicotine than other domestic tobaccos. While Martin grows perique, he won’t smoke it. “When I work in it, that’s enough,” he says. Martin speaks in a thick Cajun accent that makes him sound like he grew up somewhere south of Abbeville, even though he lives only 50 miles from downtown New Orleans. He was born and raised in Grande Pointe. His father and his grandfather raised perique. Martin remembers that during his childhood about 15 families cultivated some 500 acres of perique each year. Jimmy Garrett is the St. James Parish agent for Louisiana State University’s Agriculture Center. He estimates that only 15.25 acres of perique are raised in Louisiana, specifically in St. James Parish. “Right now, the largest producer is Mr. Percy Martin,” he says. “Then there are probably about four or five others who grow anywhere from a quarter of an acre to as many as a couple of acres.” Of that handful of people, Garrett says only two other men, aside from Martin, raise perique commercially – Timothy Bourgeois and Dudley LeBlanc, both of Paulina. In St. James Parish, the agrarian life is slowly being supplanted by the industrial life. The indigenous plants of the area are being replaced with chemical plants. There, the younger generation is finding work, lured by the stability of a steady paycheck and the hope that their children won’t suffer from the hardships of their farming forefathers. Martin’s grandchildren work in the chemical plants that loom along the horizon. He says they are “making more money than all of us put together.” He doesn’t have much hope that his family will farm perique into the fifth generation. “I don’t believe I’m going to last too darn long either,” he says, with a laugh. The Martins begin planting perique in late March and usually finish by mid-April. Depending on the weather and how well the plants mature, they begin harvesting the crop at the end of June. It takes three weeks to get all 12 acres of perique harvested. On a Sunday afternoon in July, while his sons work in the field, Martin sits on his four-wheeler. He would give them a hand if he could, if he didn’t have a bad knee. His doctor told him to stay out of the sun, but he can’t do that. He has to oversee the work. At least his hat keeps the sun off his face. His sons have had health concerns, too. You wouldn’t know it from the way they work, but three of his boys have already had five heart bypasses among them. The men move slowly down the rows, in the shadows of the sugar-cane stalks. With one quick lick of a cane knife, they sever the tobacco plants at their base. A second blow, or even a third, increases the risk of damaging the plant. After the stalks are cut, they are carefully laid out over the severed bases and left out overnight. The moist night air makes the leaves easier to handle, less brittle to the touch. There are 400 stalks to a row, and it takes the men an hour to walk down the five rows in the field and harvest 2,000 stalks. While they work, the men don’t talk. There’s nothing to say. The work is in their blood. It’s as routine as the sun rising and setting over the fields of sugar cane and perique. At 6 the next morning, the Martins, along with a few boys, load the tobacco the men harvested the day before. One of Martin’s sons, Teddy, drives the tractor, straddling the rows, while the boys fling the wet leaves onto the flat-bed trailer. The dew flies from the leaves in an arch over their heads. When they stack leaves incorrectly, Teddy corrects them. The young men don’t seem to care, and Teddy has to correct them several times. Teddy brings the tobacco to the barn and dumps it on a sheet of plastic covering the dirt floor. The barn has only one wall. Some tobacco stalks are already hanging to dry in the barn, and the smell is earthy and pungent. The Martins drive a nail into the base of each stalk at a 45-degree angle. They use a small wooden paddle to drive in the nails. Percy Jr. says they are called “cop-cops” because of the sound they make when they tap the nails into the stalks. The stalks hang from nails on one of several thin wires running the length of the 160-foot-long barn. In 21 days, with proper ventilation and hot weather, the tobacco will dry. “The crop is going to be a good one,” Percy says. “The quality is looking good.” He’s worried, though, about the weather in the Gulf of Mexico. He’s always keeping a close eye on it, hoping it stays put until they can get in the crop from the fields. “We just keep our fingers crossed,” he says. Three weeks later, on a warm Tuesday morning, a dozen people are at work in the barn. They sit on plastic chairs, overturned plastic buckets and milk crates. An old radio covered in dust plays gospel music that tells the workers there’s a place for them, a place of glory, not of this world. It will take the workers two weeks to strip the leaves from the stalks of the entire crop. Two groups are at work. The first removes the stalks from the wires overhead, pulls out the nails and strips the leaves from the stalks. Boys then gather as many leaves as they can. They beat the dust out of the leaves on one of two whiskey barrels and then bring the leaves to Ray and Percy Jr. The two men are dressed in rubber boots and plastic aprons. They stand over a wooden table and spray a fine mist of water from a garden hose overhead onto the leaves. Then they flip the leaves over and do the same to the other side. Moistening the leaves makes it easier to remove the stems and prepares them for the final process of fermentation. After shaking and beating the excess water out of the leaves, the boys place them in a long, wooden rectangular box in the center of the second group. The second group rips out the central spine of each leaf and discards it. When there are enough leaves, they are wrapped together in two-pound bundles, called torquettes, and placed in the whiskey barrels, where they will ferment. “If you don’t ferment it, you ain’t got no perique,” Percy says. One barrel will hold about 400 pounds of perique. The barrels are then placed under pressure with huge jackscrews to ferment the perique. In September and again in February, the pressure will be removed, the leaves flipped over in the barrels and placed under pressure again. By March, the entire process will be completed, and the perique will be ready for shipping. It will also be time to start the entire process over again and to plant next year’s crop. By the time the Acadians made their way into St. James Parish in 1776, the Choctaw and Chickasaw Indians were already raising the tobacco. Pierre Chenet was the first to begin raising it commercially, in 1824. He is also credited with refining the fermenting process, which gives perique its pungent flavor. Chenet’s nickname was “Perique,” and the tobacco he raised became associated with his name. In 1950, Keyes says, there were two families that controlled the production of perique, the Roussels and Guglielmos. The Roussels were planters and dealers of the tobacco. Farrell Roussel also grew sugar cane to supplement his perique crop. J.F. Guglielmo, the principal of Lutcher High School, was also a broker of the tobacco. Alfred Guglielmo told Pipes magazine in 1996 that his family had abandoned the perique business in 1990 because of a vanishing perique supply. In its heyday, the Guglielmo Perique Tobacco Co. processed anywhere from 400,000 to 500,000 pounds of perique a year. Leon Poché takes exception to Keyes’ statement. Poché is president of L.A. Poché Perique Tobacco Inc. in Convent. His grandfather was a perique farmer, and his father became a broker of the crop. Poché says his company sells perique when they have it, but the company hasn’t been able to purchase any in years. “There’s not enough perique,” he says. Martin was selling his perique to Poché until the two men had a disagreement. Martin claims he quit selling to Poché because he wasn’t offered a fair price for his crop. Poché claims he stopped buying from Martin because of the poor quality of one crop. Either way, the man growing most of the perique and the man selling it stopped doing business with one another in 1999. Christopher Brown and Matt Nichols had both read about perique tobacco and were curious to see how it was grown. One afternoon in the summer of 1998, they set out from New Orleans and drove up River Road to St. James Parish. They found no such plantations. When they pulled into a restaurant in Convent for a bite to eat, they asked some older residents if anyone was still growing perique. The old timers directed them to Percy Martin’s farm. Brown and Nichols met Martin, who told them of his woes of selling the crop to Poché and his inability to get a better price for his tobacco. He was considering quitting all together. He told them it was already too much work, and the lousy price he was getting for his perique only compounded the problem. If he could get a better price, he could continue raising perique. Brown and Nichols realized the world’s supply of perique and an agricultural tradition were both on the edge of extinction. Neither one of them knew how to run a business, but they agreed to help Martin find a buyer for the perique. Brown and Nichols became brokers of perique overnight. They sent packages of perique to 50 different tobacco companies, but they got little response. Only the Santa Fe Natural Tobacco Co. showed any interest in purchasing the crop. At the end of 1999, Santa Fe agreed to purchase all the perique Martin could produce. Since then, Santa Fe has purchased an annual average of 12,000 pounds of perique from Martin. Santa Fe’s senior vice president Mike Little says, “Mr. Martin’s limited supply limits us in how we market the product.” With that supply, Santa Fe generates 100,000 cartons a year of a perique-blended cigarette. Santa Fe’s perique cigarettes make up only 3 percent to 4 percent of the company’s total tobacco sales. The blended cigarette uses between 10 percent and 20 percent of perique, and the rest of the tobacco is domestically grown. The company uses no artificial flavors in the perique cigarette or in any of its products. Not only does the perique farmer worry about the care and production of his tobacco – which is completely dependent on Mother Nature – but he also has the current moral climate to contend with, at a time when tobacco is the No. 1 enemy of public health. Nichols says Martin’s last crop was his best since Nichols and Brown became his broker. “I wish there were 10 more farmers growing it,” he says. But ultimately, Nichols knows there’s not much incentive for a farmer to plant perique, much less to be a farmer in a land where chemical plants offer steady paychecks. Nichols continues to work hard for the dead culture. Recently, in cooperation with the Santa Fe Natural Tobacco Co., Nichols and Brown oversaw the construction of a new barn on Martin’s property. Nichols also envisions a perique cooperative where area farmers work together to keep perique alive. 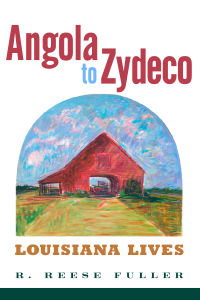 This article originally appeared in Louisiana Life and The Times of Acadiana.